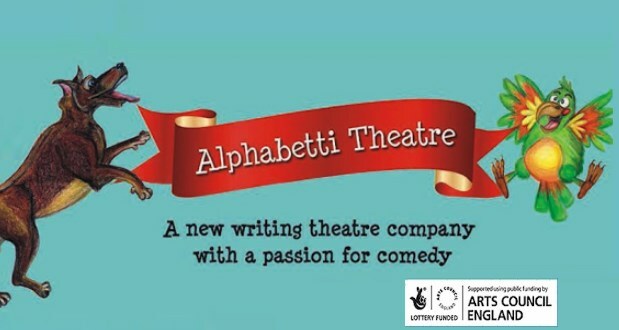 Tucked above a city centre pub, the Alphabetti Spaghetti Theatre are doing some remarkable things to keep grass-roots culture alive and well in Newcastle. Their current “Brolly Season” has featured sketch shows, a ‘sitcom for the stage’, and comedy theatre, amongst music and new writing, incorporating “MixTape Mondays”, featuring a series of plays where each must be no longer than the track that inspired it. The current offering is “Three Shorts”, which offers three short plays dealing with the theme of communication, each roughly 25mins. Set on platform one of Chilly Rd Metro, the first short, Ali Pritchard’s Jumper, looks at four characters familiar to those who have waited during the anticipated “unexpected delays”. We have the drunk who is keen to chat and dissect your very existence, the young lady on her way to an unfulfilling job, and the woman with somewhere to go and is frustrated at the prevention of her getting to that somewhere. It’s with no disrespect to the other pieces, but Jumper was, for me, the most effective of the three shorts, with comedy and over-lapping dialogue helping the pace, and the verisimilitude of multiple lives and voices on the platform. The play makes you want to embrace the cold platforms and want actually chat to random people. It’s what Geordies do best, so long as you don’t call any Beccas “Becky”, and you remember to tip the busker. Louise Taylor’s “Skirt” uses an interesting device of having the actors play past and present versions of the characters. This bare bones feeling of this play was particularly engaging, relying upon a few subtle costumes, along with tight writing and performances. Finally, “Shoes”, by Janet Plater, looks at the implications on Amy’s life, and love life, with the baggage of a father with a reputation in the area. The same four actors (Sally Collett, Wilf Stone, Rosie Stancliffe, and Matt Howdon) appear in each play, with each convincingly carrying their three desperate roles. It’s great stuff. Being in the upstairs room evokes two things. Firstly, it’s like Edinburgh upon Tyne – affordable new, high quality theatre, without having to fend off someone trying to sell you this year’s fresh contemporary adaption of Romeo and Juliet. Secondly, it’s like going back in time, for, as beautiful and comfortable a building as somewhere like the Live Theatre is, a part of me wants to be back in the mid-1970s, when the actors took some now-legendary scripts to the backroom of pubs. On all levels, Alphabetti Spaghetti is a very welcome addition to Newcastle’s culture scene, and it deserves our support and applause. Three Shorts runs upstairs at The Dog & Parrot, Newcastle until 23 November, 7.30pm (with an extra 1pm Saturday matinee). Alphabetti’s “Brolly Season” continues into December; the programme is available online. Thoroughly agree with the review – what a breath of fresh air to the city. These guys deserve our support, a great evening – go and see it! !